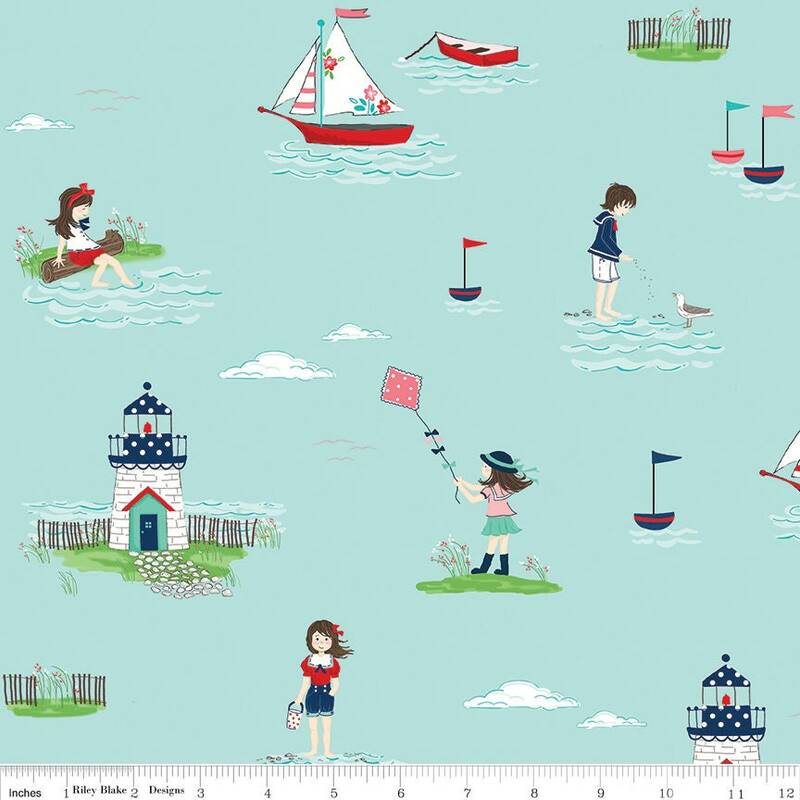 Riley Blake Designs, Seaside by Tasha Noel. 100% cotton, pattern C7230-AQUA, Seaside Main Aqua. Great transaction! Love the fabric. Thank you! Great transaction and fast delivery. Will be back for more.